Reporting from Copenhagen. 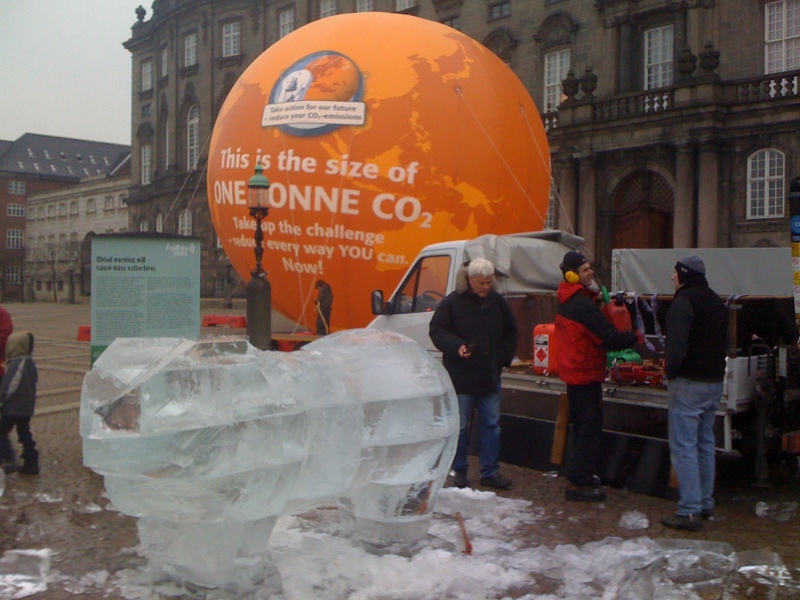 Watched these folks sculpting a polar bear out of an ice block in front of a huge balloon to show a ton of CO2. The city is full of advocacy for a strong global deal and examples of the green energy paths to get to implement one. Our team is gathering and looking forward to making a difference over the next weeks with our Climate Scoreboard (which has gotten 34,000 hits in its first 3 days!) and the version of C-ROADS for policy analysts.